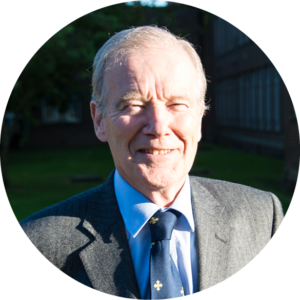 Peter began his association with Tudor Grange in 1978 as a parent governor. He was then appointed to be a Local Authority governor and later elected Chairman of the Tudor Grange School governing body. He has worked alongside four Headteachers and with Mrs Bexon-Smith he planned and executed the move to academisation, which led directly to the establishment of a sixth form at Tudor Grange School. The original Trust has developed and grown into a Multi-Academy Trust, of which Peter is currently Chairman. There are now six schools in the group and the Tudor Grange Academies Trust is one of the top eleven Trusts in the country according to recent Ofsted figures. Peter has been awarded an MBE for services to education. 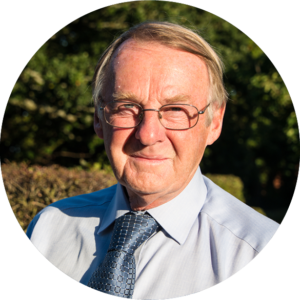 Prior to retirement, Peter was a senior academic at the University of Birmingham and an NHS Consultant Dental Surgeon. 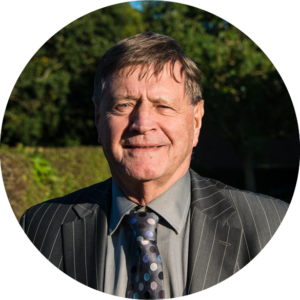 Mike has been a Governor at Tudor Grange for over 35 years, first at Solihull and currently, Vice Chairman and a Founder Director of the Tudor Grange Academies Trust. Mike is also Chairman of Tudor Grange Academy Redditch. Mike has vast experience and knowledge of schools within the Trust, their educational aspirations and ethos. He is an Emeritus Professor of Chemical Engineering at Birmingham University, where he was a member of academic staff for forty years. He has a background of teaching and research and is a Fellow of the Institution of Chemical Engineers and a Chartered Engineer. In addition to his chemical qualifications, Mike had very close industrial links. 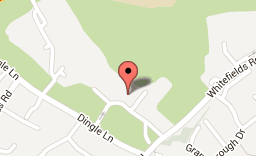 Mike has three children, all of whom were educated at Tudor Grange School Solihull. 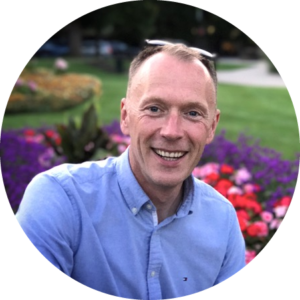 William has been involved with Tudor Grange School for over twenty-five years in the capacity as parent, parent governor and as a founder Director of the Tudor Grange Academies Trust. William has extensive knowledge of the school’s educational principles and ethos. 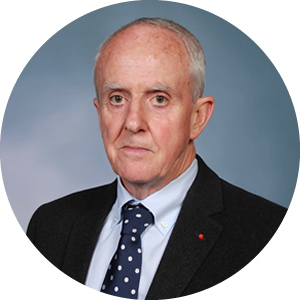 William is and has been a company Director for over forty years. He has been involved in a number of companies ranging from sales, marketing and corporate hospitality. William’s business knowledge and experience is invaluable in raising the Trust’s awareness of their commercial responsibilities in the challenging world of educational finance. Graham has lived most of his life in Solihull and attended Tudor Grange Grammar School. He runs his own legal practise in Solihull and was also a church pastor for many years. Graham is married with four children and two grandchildren. He enjoys bringing contribution and challenge to governors and staff with a touch of humour. Alison recently retired from the Civil Service after a career spanning 42 years. During that time, Alison worked in several government departments, spending the majority of her career and the final 16 years in the Home Office, Immigration Department. Aside from an in depth knowledge of Immigration and Human Rights laws Alison had experience in representing the Home Office in Immigration Courts. Alison’s also had a wealth of experience in managing both business and staff performance. Throughout her career, Alison dealt with a range of HR issues including recruitment and retention, conduct and discipline and sickness management. Alison had a particular interest in aspirational leadership and management, achieving high performing teams and embedding a culture of continuous improvement. Alison has three sons, all of whom attended Tudor Grange School, Solihull. Alison joined the Local Governing Body first as a parent governor and later Alison became a community governor, chairing the staffing committee. 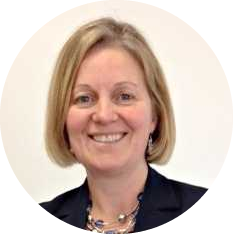 Alison was appointed as a Director of Tudor Grange Multi-Academies Trust at its inception and has recently been appointed Chair of Governors at Tudor Grange Primary Academy Haselor. Ron worked in the teaching profession for 37 years, including 34 years at Tudor Grange School, Solihull. There he was a Head of Department and Faculty, Examinations Officer and a member of the Senior Leadership Team. Ron joined the Local Governing Board on his retirement and is presently Chairman of the Local Governing Body. 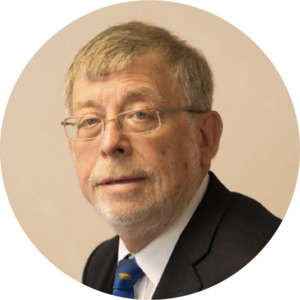 Ron is currently employed by JCQ as an inspector of schools’ examinations arrangements and also serves as a Magistrate on the Birmingham bench. After leaving university, Jamie co-founded technology company Postcode Anywhere in Worcester. Working as the company’s software lead, its service became the defacto standard for data entry across most UK eCommerce websites. In 2017, the company was acquired by GB Group to form the core platform for its global expansion freeing Jamie to pursue new adventures. Jamie continues to follow the technology sector but also has a keen interest in education, travel and aviation. Paul worked in the education profession for over forty years, predominantly in the sixth form college sector. There he served as a Vice-Principal for many years with a responsibility for quality assurance, teaching and learning and raising standards. His academic research centred on the development of this sector after the Further and Higher Education Act. Paul developed links with schools in the Soviet Union in the mid-1980s and, following work developing political literacy in the classroom, he was the Ordnance Survey Award winner in 1999. After retiring in 2008 Paul managed a training network of large sixth form colleges and became a school governor, most recently at the Robert Smyth Academy in Market Harborough. This Academy transferred to The Tudor Grange Academies Trust in 2017. Sarah is currently Birmingham Diocesan Director of Education. Prior to joining the diocese in February 2015 she was Executive Head Teacher of St John’s CE Primary School in Sparkhill, which she led through two outstanding inspections. 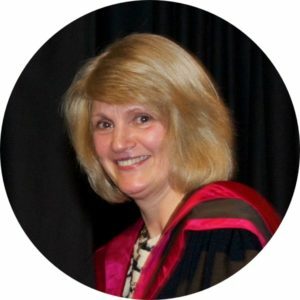 A National Leader of Education, she has been involved in supporting schools on their journey of school improvement, and served as Chair of Birmingham Local Authority Primary Forum and a member of Birmingham Schools Forum. She was instrumental in setting up the Birmingham Education Partnership with its vision of Head Teachers from all types of schools collaborating on leadership of education in the city. 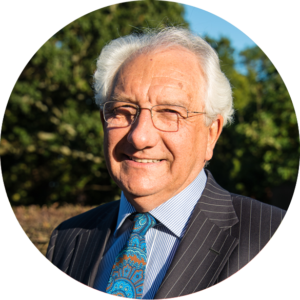 Robert qualified as a Chartered Accountant in 1973 at which time he was working in London for a small accountancy practice, which subsequently merged into Binder Hamlyn. Upon qualification Robert moved to Dorset to join the Rob Walker Motor Group (part of a newly listed PLC). When the Group was sold in 1977, Robert moved to the Midlands and joined what is now HM Revenue and Customs, dealing with investigations into various forms of tax evasion and avoidance. Robert retired from HMRC in March 2014, he is married with a daughter and a one-year-old granddaughter. The Reverend Canon Jackie Hughes was a headteacher in Birmingham for almost 10 years before joining the city’s School Improvement Service in 1997. Jackie became the Head of School Effectiveness for the city in 2006 and led the National Challenge for improving the performance of secondary schools across the city. Birmingham became the highest performing core city at this time. Jackie retired from the Local Authority in 2010 and was appointed by the Diocese of Birmingham as Director of Education where she supported schools in developing their distinctive ethos, led School Improvement and then the academies programme until her retirement in 2014. 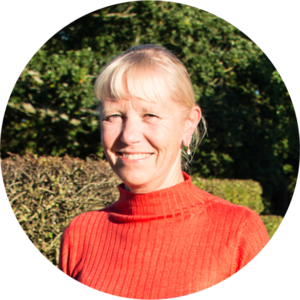 Jackie has been a school governor in both primary and secondary schools, an Ofsted inspector and has published several articles and a book about different aspects of education, particularly gender equality and Collective Worship. Mr G Pearce Director Managing Director Pearce Legal Ltd.